Play a key part in helping churches create the right space to foster effective ministry by serving as a Project Architect for Aspen Group. The ideal candidate will apply knowledge of architectural design, current ministry culture, construction procedures, zoning requirements, building codes, and building materials based on criteria established by the Project Developer and church stakeholders during each stage of the building process. Assist the Project Developer or Business Developer in responding to leads, referrals and contacts to develop sales opportunities that require Design participation. Participate in industry events/conferences for learning and networking purposes. Partner with the Project Developer to win key projects in competitive situations. Manage and provide design leadership through the Alignment stage of the Aspen Process. Take ownership of internal team understanding and harmony as it relates to client expectations, commitments, and delivery. Facilitate team collaboration with Project Developer to deliver a design that maximizes ministry impact within limits of client’s budget and schedule constraints. Provide a scope and budget solution through Alignment and earn the privilege to move to the Design/Build/Furnish contract. Deliver a high quality, creative design that fits the unique DNA of the church and delivers on promised budget. Work with and manage Consultants to ensure collaborative solution. Deliver Design Narratives and Statements that will help the client communicate the Intent to their people. Manage and provide design team leadership through the Design stages of the D/B/F phase. Work with Project Developer and Project Manager to provide workflow plans and schedules. Estimate hours and tasks to completion. Work with consultants and subcontractors to carry out design intent during Design stages. Provide a positive client experience through Design stages and earn the privilege to move to the Construction stage. Team with the cross functional studio to deliver high quality design. Transition to construction in a fashion that ensures project success with respect to client satisfaction and profitability. Work with local and state jurisdictions to secure Building Permit. Support the preparation, presentation, and client approval of Authorization to Proceed with Construction, in cooperation with the Project Developer, Project Manager, and Estimator and with pricing approval from Aspen Group President. Make periodic visits (~1 time per month) to the construction site to ensure client satisfaction. Visit project one to two months after completion to assure client satisfaction and develop referrals. Coordinate and participate in job close-out and post-project review meetings. Key player in the development and delivery of the project execution plan and Design. Leads through clear communication and by example. Delivers on Aspen’s Mission and Values on every project. Interacts regularly with peers and management to facilitate learning. Interacts with Cross Functional Team to learn basics of other disciplines. Works across studios throughout Aspen system to promote learning and resource leveling. Supervisory Responsibility: Reporting relationships listed below. Competencies Required: The competencies below are needed for proficiency in this role. Relevant Experience: Seven (7) years’ experience in a relevant architectural design position. Design proficiency and experience required. Workflow management experience required. Architectural License required. 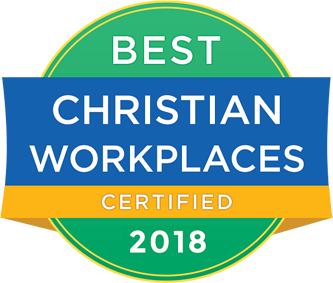 Excellent communication skills and connection with the church market preferred. Revit experience preferred. Education: Minimum four-year degree in Architecture. Physical Requirements: A sedentary position requiring manual dexterity to operate machines and handle documents; visual acuity to type and read. This position reports directly to the Senior Design Manager; coordinates and schedules drafting personnel and works closely with in-house architects and engineers, design consultants, project developers, and project managers.